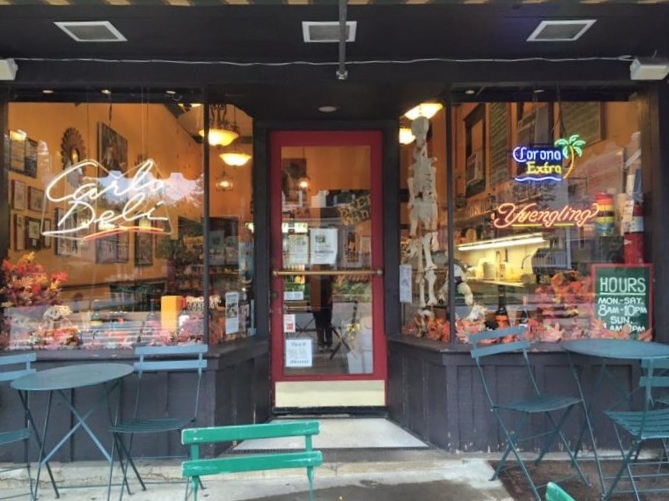 Breakfast, lunch, and dinner: in Hyde Park everything is just a short walk away, and with the spring right around the corner, these are the best local eateries in Hyde Park you should give your business to. 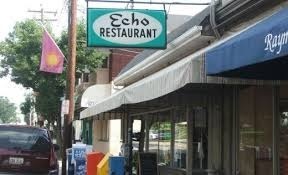 Start the morning off right with a hearty breakfast at the Echo. Located 3510 Edwards Rd, just a door down from the Hyde Park Square, this diner themed breakfast joint is a step into the past, with a dated décor that appeals to a simpler time. In addition to a simple menu filled with favorite comfort foods such as waffles, scrambled eggs, bacon, and hash browns. There are weekly specials to keep the even the regulars on their toes, like the fried halibut with a side of lima beans. Business nearly triples here on the weekends according to Google analytics and then customers stay about an hour there, making the wait for food is never too long. Easy to prepare meals makes the time between ordering and eating much shorter which makes this a quick breakfast stop. Jack Sullivan, a Hyde Park native, frequents the establishment because of the proximity to his at Delamere & Hopkins, right around the corner from The Echo “(The Echo) supplies food to me on the weekends when I work, which is important to me.” Due to the nature of the job he prefers the breakfast sandwich which is easy to eat on the go. The appeal to the restaurant comes from its homely nature, and great service. The food is always hot and reminiscent of a home cooked meal. You should stop by and give this classic American breakfast a try. Across the greater Cincinnati area, Zip’s is known for having a juicy, flavorful burger with a variety of creative menu items. For more conservative customers the reserved Zip burger, a cheese burger with crisp lettuce, fresh tomato, and mild white onions, might be a good starter. But for veteran customers, such as our very own Dennis Cowell the trainwreck might be a more exciting option. “The trainwreck dude, because there are three layers of meat with a layer of cheese between each one, it’s a feast for a true American.” The trainwreck is a zip burger with a split mettwurst and shaved ham on top, with the staple three layers of cheese. If you aren’t ready to go over the end and try the trainwreck, the intermediary step is the Girth burger which is a Zip burger with a mettwurst split on top. For vegetarian customers they offer a garden burger and a black bean burger with all the same dressings as a Zip burger. A healthier turkey burger also finds its way onto the menu. Zip’s also hosts a variety of sandwiches, none of which, come close in popularity to their burgers. Behind the dining room Zip’s is home to a bar area with locally sources craft beers and IPA’s, this is also where carry out orders can be picked up. Zip’s is in a prime location in Mount Lookout square. Growing up in Hyde Park Zip’s was always a short walk away with my friends, for dinner and that tradition has been carried over into the present day. For many who lack the proximity the drive is worth the food according to Cowell. But for many the wait for the food is too much, the line is often going down the side walk during peak business hours, and because customers must wait for a table which can take half an hour or more. Carl’s Deli is a favorite lunch time in Hyde Park with thirty-two sandwiches, more than a dozen sides and soups, and several seasonal options. According to Emma Brandt, an artisan sandwich craftsman of Carl’s the most popular sandwiches are the #23, a turkey, bacon, and swiss sandwich on white toast, with lettuce, tomato, onion, and mayo. And the #21 a hot sandwich on a baguette, with roast beef and provolone with the usual L.T.O. veggie combination. The season plays a big role in business, with summer doubling the traffic of winter. Due to the demand of the sandwiches people will wait outside during the warmer months in anticipation of the fresh bread and meats. However, when the weather is poor, no one wants to stand outside in rain, snow, or freezing temperatures. The poor weather does increase the number of call-in orders which is a good option in you don’t want to wait in line but the wait will be 10 to 15 minutes if it isn’t busy and even more if it is packed. Fast food does pose a threat to Carl’s as their lower prices and ad campaigns can detract from customers unfamiliar with the small business’s charm. However, unlike stores like subway Carl’s is more personal, and offers some very delicious sides which are made in house. The good food and cozy atmosphere provides a familiar allure to first time customers and keeps regulars coming back.